The highest quality and best tasting hickory smoked sausages and frankfurters. In 1989, SPAR Sausage Company® was established in Oakland, California by the owners of Caspers Famous Hot Dogs® (www.caspershotdogs.com). A few years later, SPAR outgrew its modest beginnings and moved to its current location in San Leandro. Since its inception, the goal of SPAR Sausage Company® has been to guarantee the highest quality product with the freshest ingredients for the Caspers Famous Hot Dogs® restaurant chain. SPAR Sausage Company® also sells its products to club and grocery stores as well as meat markets in the western region of the U.S. 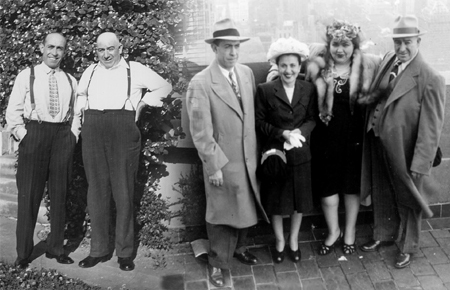 The name, SPAR, derives from the first letter of the names of the founders of Caspers Famous Hot Dogs®: Stephen & Ardam Beklian and Paul & Rose Agajan. 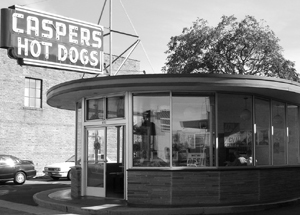 The partners established Caspers Famous Hot Dogs® in the San Francisco Bay Area after moving their families from Chicago during World War II. All four founders are of Armenian descent and their story of success is about realizing the American dream. In addition to retail sales, we are proud to offer Caspers-brand sausages and frankfurters for foodservice and institutional menus. SPAR also has the capability to formulate and produce custom sausages for private label retail and foodservice customers. Our flexible production process allows us to make unique flavors and sizes, from traditional to cutting-edge, in a cost effective way. Contact us for more information. ©2008, Spar Sausage Company. All Rights Reserved. Caspers®, Caspers Famous Hot Dogs®, and the Caspers logo are federally registered trademarks. Any unauthorized use of these trademarks is prohibited.